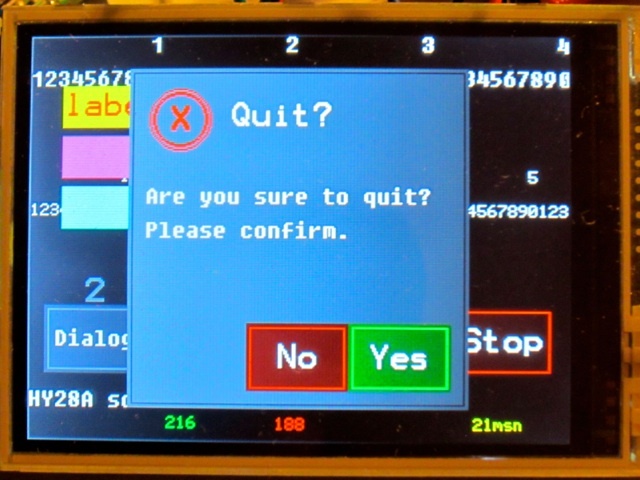 In all the GUI functions and classes, &myLCD refers to a previously declared LCD_screen object. Optional parameters are shown in italics. Most of the GUI elements as dialog window, menu and slider, save the screen on an external storage, as SRAM or SD-card, show up and then restore the previously saved screen. A function with a d-prefix —as dLabel— uses the vector coordinates system, as opposed to the standard rectangle coordinates system for other functions —as label. 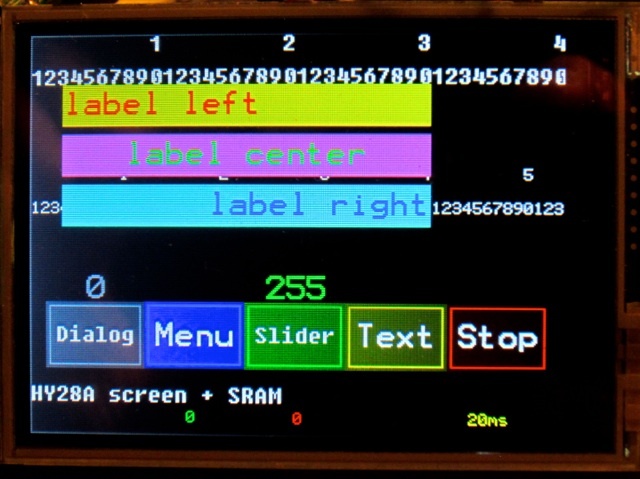 with HY28A_SRAM_screen as screen in this example. All the pictures are taken for the example sketch. 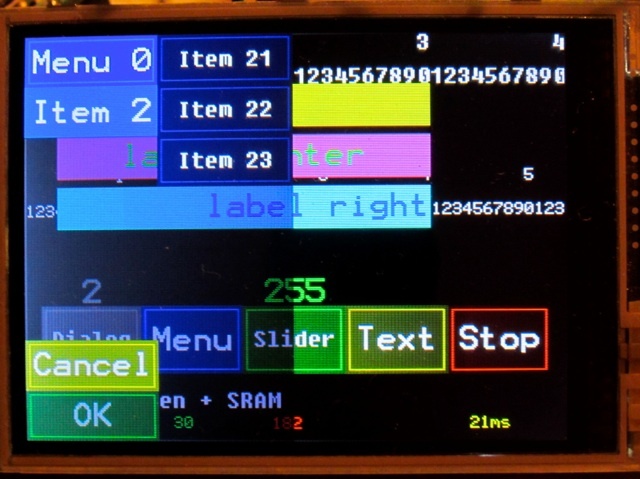 The example runs on a LaunchPad Stellaris with the high quality and very affordable HY28A screen (USD13), plus two SPI SRAM 1 Mb. The library with the example is available at the Download page. The schematics, circuit and connections are available here.